“It’s now May. Everything is bright and green” I WISH!!! I’M SICK AND TIRED OF WAKING UP AND IT’S NEGATIVE 20 OUTSIDE! Yes, you're the pretty boy I'm talking about! Sawako remembers the conversation she had with Kazehaya back at the beginning of the year, and she wonders what he meant by what he said. Once again She comes to the wrong conclusion and she believes that Kazehaya was only saying that out of kindness I can understand the misunderstanding,but still… Grr. She then goes to class, where Miura tries to teach her how to say Hi properly without scaring everyone away Good thing for Sawako!, therefore obviously making Kazehaya jealous. Then follows a conversation between Ryuu and Kazehaya where Kazehaya explains what he feels about the conversation he and Sawako had and Ryuu is actually curious *gasp* I thought he didn’t care about anything but Chizuru, and he feels as though he’s running out of time because Miura is creeping around and could steal Sawako from him *cheers*Go, Kazehaya, Go! *cheers* . Talking about that idiot, he goes and talks with Sawako again, and he seems like a nice person I’m about to start liking him more than Kazehaya and then we simply learn that he’s a total player he’s… interesting let’s just leave it at that. We also learn that he’s starting to be interested in Sawako, and Ayane confronts him, however Miura states that he is “a good guy” from what I’ve seen, he is. After a little class discussion, Miura decides without her permission that Sawako will be doing a crash course right before the midterms. With Kazehaya’s blackmailing help, Sawako manages to have a pretty big group to teach, and she ends up having so much fun that she keeps smilng, therefore making both Miura and Kazehaya flinch. After the course, Kazehaya and Sawako have a conversation alone where he tells her to forget about what he said last time. The episode ends as Miura meets Kazehaya in a confrontation, he was waiting for him *dramatic music*. GRRR!!!! Kazehaya, you piss me off. Once again, he does stupid things like telling Sawako to forget about what he said. GRR! The only thing I liked about him in this episode was when he told everyone to go to the crash course. Apart from that, Miura was much better than him on all levels. *cheers* I vote Miura Kent, I vote Miura Kent! First off, he doesn’t deny his feelings to others. 1 point. Then, he helps Sawako by trying to make her smile. 2 points. 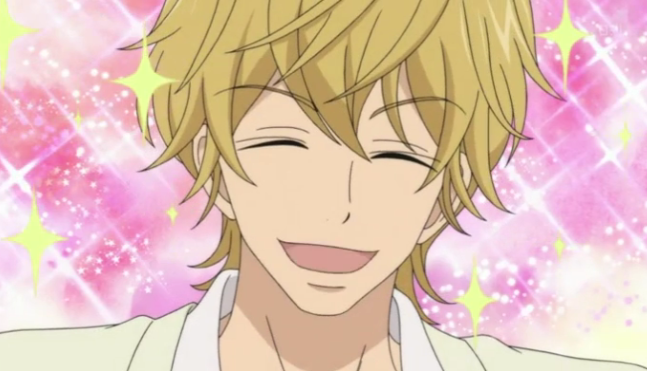 He talks to her all the time and much more than Kazehaya at the moment. 3 points. He’s lively and has a personality. 4 points. Moreover, I don’t count it as a point because it could’ve ended up in a bad thing after all, but I loved how he simply invited everyone to a crash course that Sawako would teach when she didn’t even think about it. 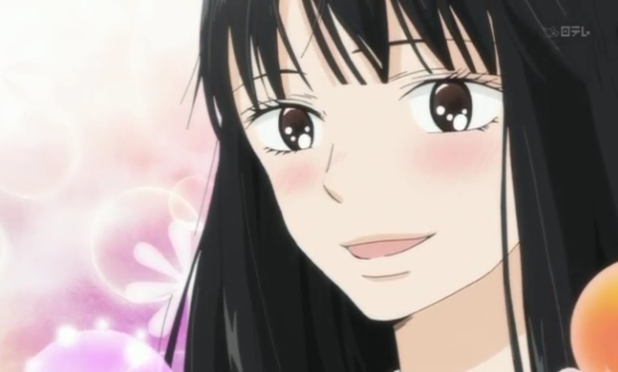 In the end Sawako had tons of fun and smiled, all because of him. Kazehaya helped a bit also in the background, hence why it’s the only thing I liked about him this episode. I swear, this guy is back to his plain personality. Even in the first season, I kinda liked all the other characters much more than I loved Kazehaya, and I realize that only now. 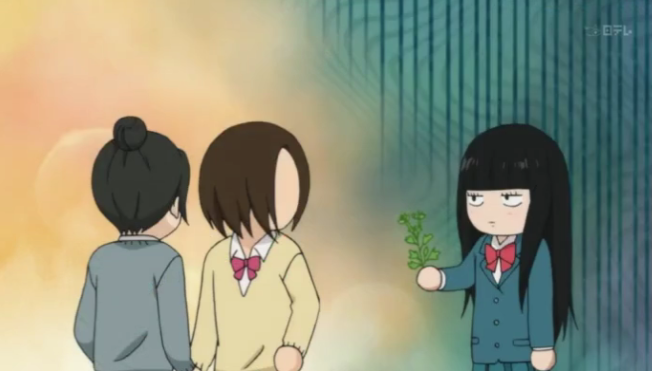 As to Sawako, she’s still the adorable person we would all wish to know ^.^ Her medicinal herb garden was cute, and I loved once again that she tried her best to smile and be a good person even though she just ended up being scary. Ayane’s confrontation with Miura was great, I loved that as well, and in this episode I was really surprised that Ryuu cared about something. 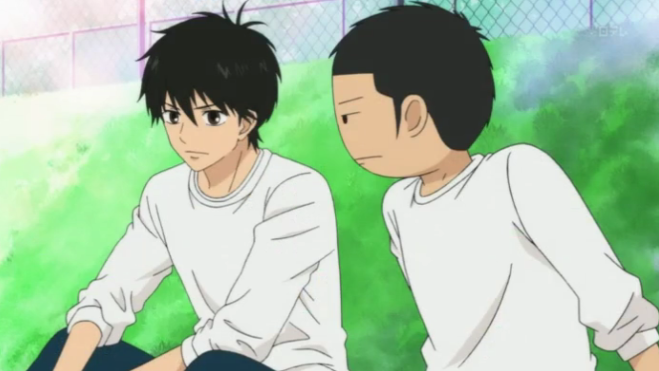 When Kazehaya told him that he regretted saying “that” to Sawako, he was curious O.O. Wow, I didn’t believe that was possible. 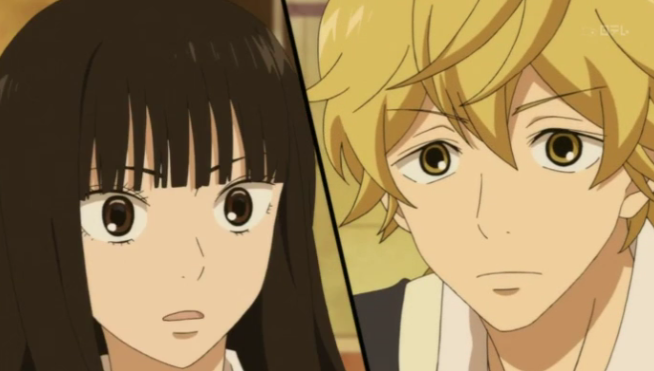 Tagged anime, episode 3, kimi ni todoke season 2, review. Bookmark the permalink.